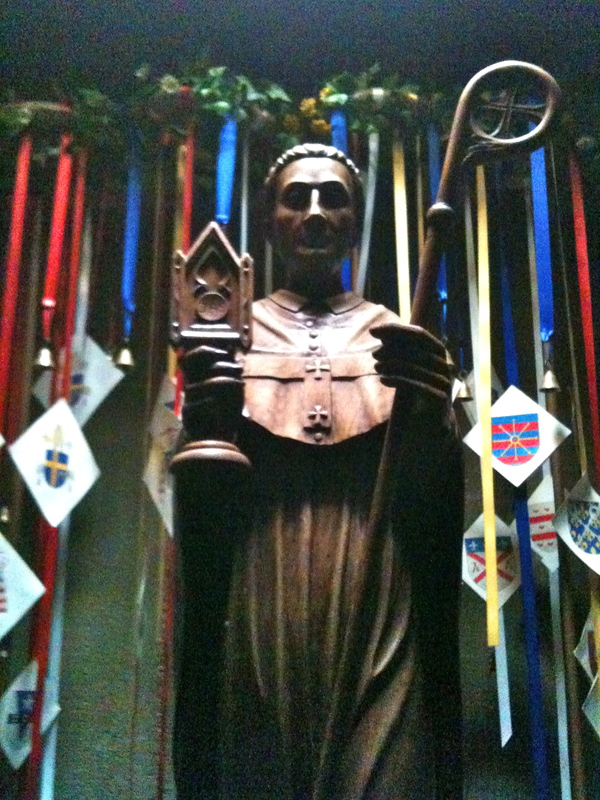 St. Norbert, founder of the Norbertine Order. At Daylesford Abbey side chapel in Paoli Pennsylvania, a suburb of Philadelphia. The Norbertines at Daylesford Abbey are canons regular, (not monks) meaning they service and interact with the community and follow the Rule of St. Augustine. This is why their Spirituality Center programs are so strong and varied, from bringing in world renowned speaker Fr. Richard Rohr to presentations on the spirituality of beekeeping. 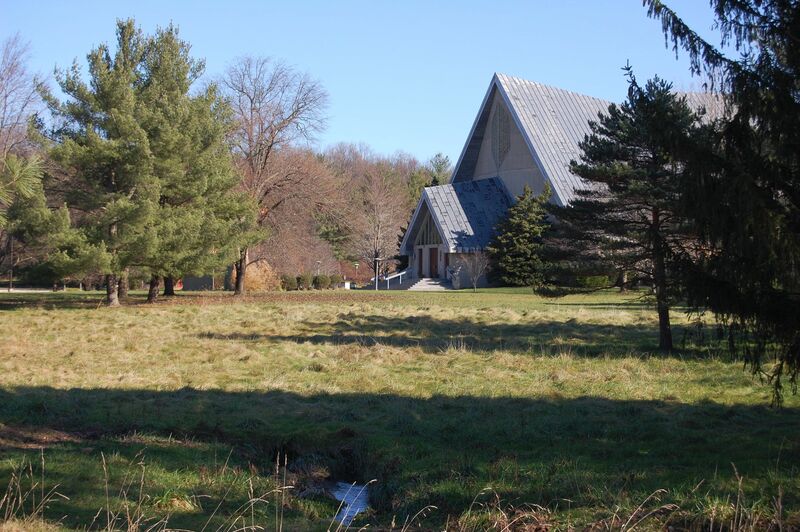 For some the larger programs, conferences or retreats, the Abbey has 36 rooms for overnight guests. They also have home cooked meals for a nominal cost. Also known as Premonstratensians. Norbert founded the order in the French town of Premontre, northeast of Paris. 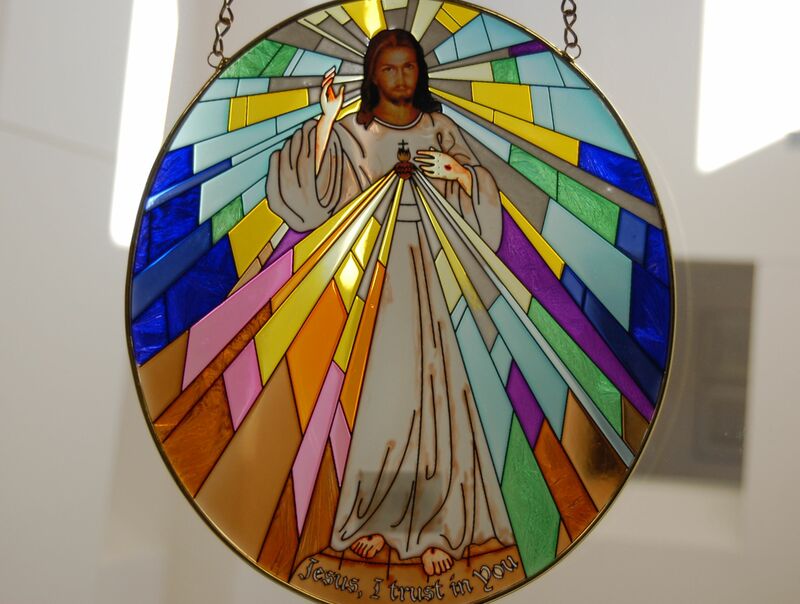 The Norbertines today sing their prayers in the Divine Office and have a special devotion to the Holy Eucharist. 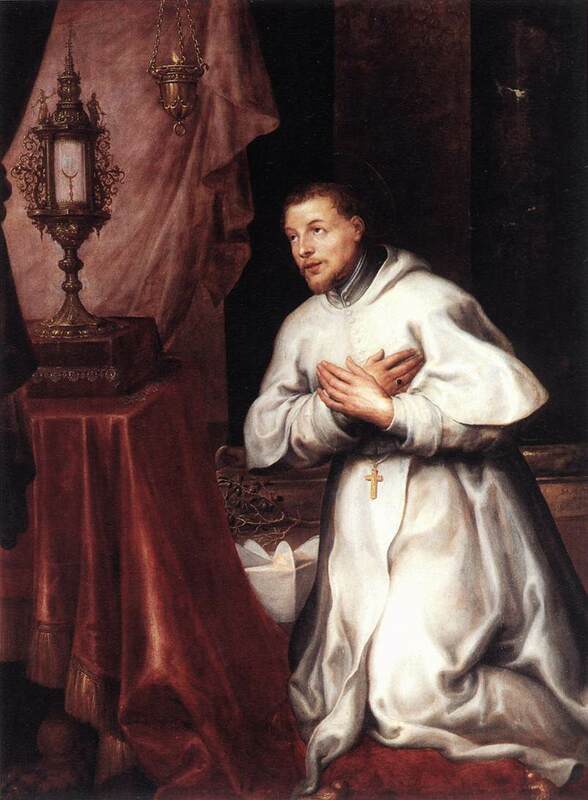 On June 6th, the solemnity of St. Norbert, Daylesford Abbey shares with the community The Office of Vigils, Morning Prayer, Mass with St. Norbert emphasis, and Vespers. 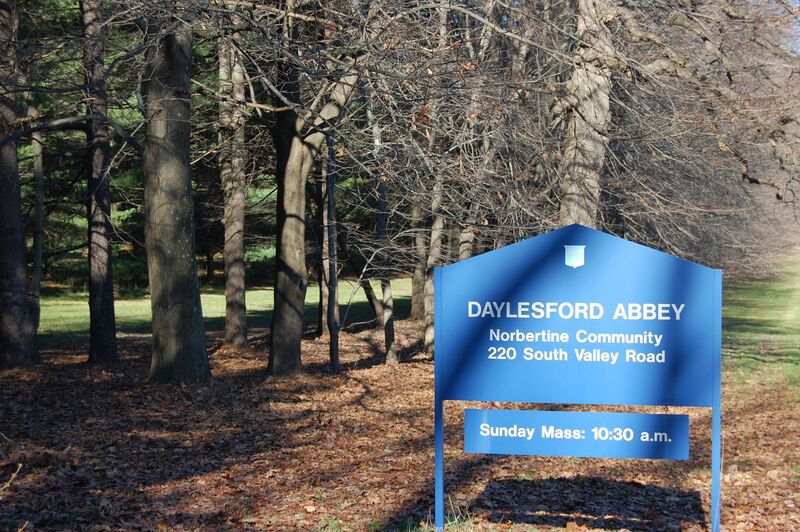 Daylesford Abbey in Paoli, Pennsylvania USA.